Backpacking tent types reflect the weather and field conditions you will face when relying upon this portable shelter. Manufacturers thus invest time, and spend a lot of money, to design backpacking tents that will satisfy the real world needs of their customers - you, in this case. It ain't always pretty (or always safe) out there! So the good news is that it's relatively easy to find the right backpacking tent type to meet your safety and comfort needs, if you know what to look for. In case you want to cut to the chase, here's the tent I carry on my hiking and backcountry trips. Sometimes tent suppliers don't get it right. Their array of backpacking tent types can be supremely misleading and poorly designed. My best piece of tent buying advice? Backpacking tent types with a high price tag don't guarantee high quality essential features. Read about those "must haves" here. Look at your options, select the features that really matter to you, and then buy the highest quality tent you can afford. You will not regret following this piece of advice if you think of this crucial piece of backpacking equipment as an investment in your comfort and safety. Shop for a tent from the position of strength, armed with all the facts! how to buy a tent advice? So here I am, to give you some hard earned advice to kick around before you get overly enthusiastic and plunk your money down for a tent which you will regret bitterly when Mother Nature shows her true colors. Which she will, given enough time. It's just her nature, right? 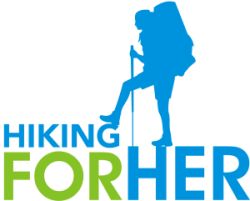 Some of the links on this page and elsewhere on this website are affiliate links, meaning Hiking For Her trusts these companies and products, and will receive a small percentage of your purchase price - without costing you anything extra. 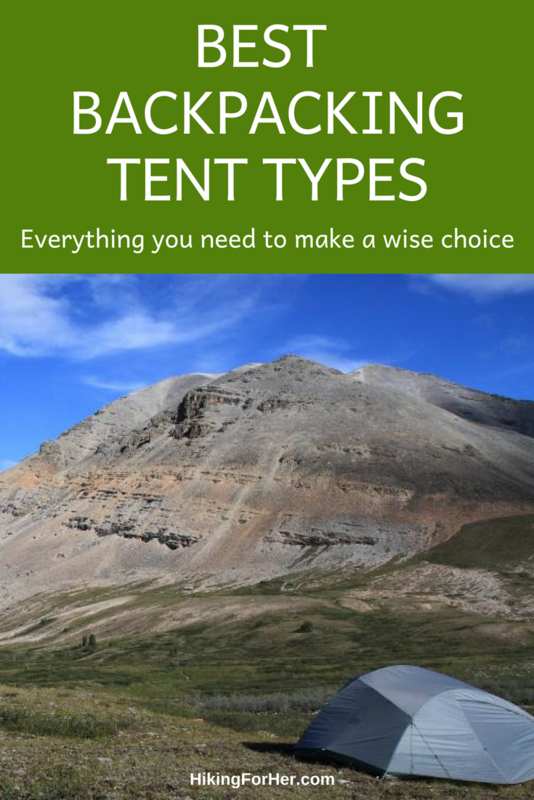 These words will form the basis for understanding your choices in backpacking tent types. Let's tackle the size of a backpacking tent first. You can whip out a tape measure and verify that the bottom of the tent (the floor footprint) measures exactly as advertised. But is all of that space usable? And if you can use it, is it comfortable? For instance, if a tent is advertised as a "two person" tent (it used to be "two man" but has thankfully changed to include women), test it! When you're in the gear store, go to the tent department and ask to borrow 2 inflated air mattresses (ThermaRest or the like). Also ask for 2 sleeping bags, 2 pairs of boots, and a salesperson to play the other person in the "two person" equation. Be sure to pick a pleasant looking salesperson, because some of them do not like crawling into tents with strangers. Imagine that! Can you both sleep in your preferred sleep positions without bumping each other? Don't be shy about asking the salesperson which position s/he prefers - it's all in the name of science, right? 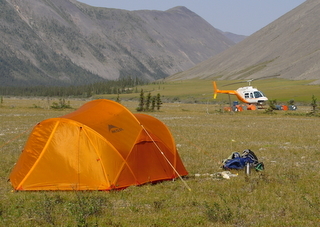 If weather conditions were to become extreme, could you fit all of your gear into the tent? If the answer is yes, how comfortable would it be to stay this way for 24 hours? If no, does this particular tent have a vestibule (a hallway created between the rain fly and the tent wall at the door) to shelter your backpack and boots? NOTE: To really test the livability of the tent, you might have to also ask for 2 backpacks to be delivered to the tent door during your little simulation. This may begin to also test the patience of the salesperson. Sometimes you have to run imaginary comfort tests. I'm trusting you to use your best judgment (and to not mention my name). P.S. If you meet the love of your life during this tent simulation, I definitely want to hear about it. Contact me here. Doing your homework pays off! Using this strategy, I'll bet it won't take you very long to determine whether the advertised "two person" tent really is or is not! Also read the detailed customer reviews on the REI website. People share all sorts of rants and raves that will help you determine if this tent is THE ONE. Tent designs run along certain standard contours, which limits the scope of backpacking tent types and makes your job of selecting one somewhat easier. When I started backpacking in my teens (in the 1970's, and yes, there were pterodactyls flying around), I had a canvas "pup" tent (A-frame). I adored it because it represented freedom and adventure. But I was certainly happy to witness all of the modifications which tent manufacturers have made over the decades: lighter, waterproof, and easier to set up tents are now the norm. And pup tents have joined the pterodactyls in extinction. Instead, expect to see tents which are shaped like hoops, domes, and wedges (or variations on those themes). A few words about each design will give you some features to think about as you're comparing backpacking tent types. Hoop tents have flexible poles which allow the tent material to be shaped into curved walls, rather than an A frame. Expect a bigger volume than ground surface with these backpacking tent types. Meaning head room, elbow room, but not a ton of floor space. Don't expect these tents to perform well in large sizes - a one person or at most two person hoop tent could be expected to hold up in adverse conditions. I know for a fact how strong these tents can be in bad weather conditions, given the right tent poles (strong, flexible, but not prone to snapping) and attention to proper staking. It might become necessary to orient the tent differently if wind conditions are severe, so the tent does not have to "fight" the wind. Try to anticipate wind direction before you crawl into the tent for the night by looking for clues around you: bent over trees, scoured ground, etc. The very best tent for standing up to sustained wind gusts that I've found to date is from Hilleberg. It's by no means an ultralight tent, and it's not cheap, but it goes up superfast in windy conditions and tolerates extremely unfavorable weather. I weathered a storm in this tent design at 6700 feet elevation, and was pleased that no pole snapped and only two stakes pulled out after 10 hours of wind. Dome tents have several (usually at least 3, but possibly more) poles which intersect to form intersecting hoops. You can predict that more poles add up to more strength, and this is true. However, the more moving pieces involved in setting up a tent, the harder it will be, and the greater the chance of gear failure. And more poles mean more weight. Be forewarned. Which is not to say that a dome tent will be difficult to set up. In fact, they can go up in a matter of a few minutes under experienced hands. The sloped contours allow moisture (liquid or solid) to be shed easily, making them a good choice in less than arid regions. And there's plenty of head room - at least in the middle! You can learn to seek the middle, can't you? One more tent design to consider as we round out our discussion of backpacking tent types: wedge shaped tents. Because these tents require the least amount of materials to provide a roomy interior with special attention to head room, they are lightweight. From personal experience, I can also attest to the fact that a wedge shaped tent will withstand a fair amount of wind and rain, but will require careful placement and staking. And they are easy to set up, provided you've done it at least once before. Set it up at least once before you take it on a backpacking trip! But you're not done yet! There are other variables at play before you make your final, and best tent selection. One of them involves the dimensions of the tent floor. Mostly, don't expect straight forward rectangular floors. The tent manufacturers are trying to maximize space while minimizing weight, a very worthy goal, so they play around with dimensions and wind up with areas on the sides of the tent floor for gear storage. Note that your sleeping pad/mattress will most likely be rectangular (although newer designs are more tapered to shave off weight). So be sure it fits, along with however many other people/dogs with their pads you expect to bring into the tent. Are you a tall hiker? You will not be happy with a tent until you physically crawl inside of it and stretch all the way out on the floor. And then sit up, stretch your arms up high, and twist around a bit. Tents are designed for "average" height people. If you are above average (what an overachiever!! ), expect cramped quarters. Or buy a tent with an extra person factored in, giving yourself plenty of room to get dressed, sort your gear, and weather a storm without putting your elbows in someone's face. Now let's tackle what "free standing tent" implies in our discussion of backpacking tent types. Back in the "olden times", you began setting up a tent by laying it out on the ground and figuring out which end to put up first. and then staked out each wall of the tent before it was stable and standing. Today's tents are mostly "free standing", meaning that they support their own weight once the collapsed poles are assembled and inserted, and you've easily hoisted the ceiling and walls into the air. You might need to stake the tent to its final dimensions (so it's called a semi freestanding tent), but can do so at your leisure. Unless a stiff breeze is blowing, at which time you will see the wisdom of immediate staking. A nice feature of a free standing tent is the ability to move the tent easily (once all of your gear is out of it). Say your first night at base camp left you lying awake because your head was lower than your feet (you did think of turning your mattress around, right? ), or because a huge tree root came out of nowhere and snaked beneath your sleeping bag. Just remove the stakes, grasp the free standing tent by a pole, and MOVE it. I'm still somewhat amazed by the ease of this maneuver, being the old timer that I am. Another reason to appreciate free standing tents is how easy it is to clean them out each morning. Once the gear and people are gone, unzip one of the doors, hoist the tent over your head, and dump out all of the grit and debris. This will extend the life of the tent floor, and it makes you feel so STRONG! I once had a Winnie the Pooh moment when I was lifted off the ground at a high elevation campsite as I held the tent over my head, due to an unexpected burst of exuberant wind over a ridge top. Do you need a fair weather backpacking tent? The kind you use only in the height of great summer conditions? Or will you push into less advantageous spring and fall hiking weather on your backpacking trips? Maybe you're going to really go for it, and need a four season tent that stands up to snowfall, extreme winds, and prolonged wet weather. Regardless of which season(s) you're going to be hitting the trail, here are trustworthy tips on choosing the right type of tent for seasonality. If in doubt regarding which backpacking tent types will suit your backpacking needs, over-buy. By that, I mean imagine the most extreme situation you are likely to face, and be sure your tent can handle that PLUS something a little worse. If you plan to backpack exclusively during warm dry seasons, you can purchase a tent which doesn't have to stand up to much. That's a cheap and satisfying purchase, all things considered, and it shortens the learning curve on backpacking tent types. You can even leave the rain fly at home if you want to shave off some weight from your gear list. But realistically, do you actually expect perfect conditions every trip? I know budget is always a consideration, but my advice is to save money on other hiking gear and buy the best tent you can afford. And then take scrupulously good care of your investment! Your tent is not only a safe haven from weather and bugs, it becomes a psychological safety valve when you're far from home for many nights in a row. And you'll develop a fondness for it that defies explanation. Your backpacking tent decision becomes a vital component of the necessary comfort + safety equation which guarantees that you have a great trip. This backpacking tent is lightweight yet roomy. That hiking gear lying outside can be tucked neatly under the rain fly beside the door (inside the vestibule). I've given you lots to think about. But I want to leave you with another viewpoint which I feel is fairly balanced in its discussion of backpacking tent types. It's written from the perspective of a gear supplier, REI, but it's not trying to push any particular type of tent. I've been an REI member since the early 1970's and have been satisfied over the years with the advice they have given me, either in person or via their website. And I'm proud to be an REI Co-op affiliate. Seriously, this information covers some details you don't want to miss to round out our discussion of best backpacking tent types. You might also want to read these Best Backpacking Tips.